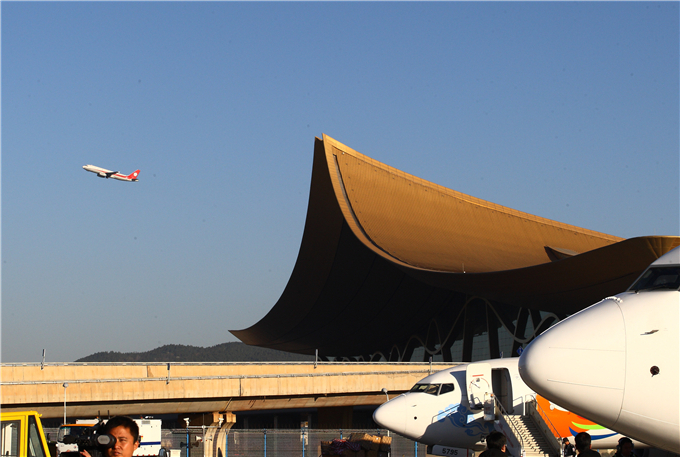 The Kunming Changshui International Airport, the only airport in the capital of southwest China's Yunnan Province, saw a record high of inbound and outbound tourists in 2018, totaling over 4.09 million visits, according to the city immigration office. Up to now, Kunming has opened 57 flight routes with 25 countries and regions. More visitors in China choose Kunming as their air transit city to Southeast Asia and East Asia, and the city is set to be a global air transport hub, said an official with Kunming's immigration office. In 2019, Kunming has also been included in a 144-hour visa-free transit policy approved by the China's State Council, for travelers from 53 countries.